Part Number: KT DL-G-18-B. External height: 30cm. Good condition, with minor signs of use. 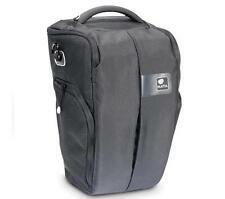 KATA Digital Backpack DR 467 Modern Design with loads of storage. Will accommodate Camera Body, Lenses and accessories. 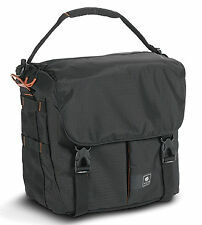 Weatherproof Nylon can be put on to protect whole bag in bad weather Very good quality! Only used a two times! (as a new) Great for small to medium sized Cameras and compact digital systems. Black and yellow (inside) colours. If you have any question just ask me, please. The bag can convert into a normal rucksack by removing the padded insert at the bottom, so it is useful even when you're not shooting. Really high quality, well made bag/rucksack as you'd expect from Kata. TST - Kata's TST (Thermo Shield Technology) provides the perfect level of protection against shock, vibration and impact. Part Number: KT DL-G-16-B. The Yellow interior allows you to locate easily even the smallest components while the TST Rib provides discreetly structured protection, where it really counts! The black KT DL-LP-40 Light Pic-40DL Shoulder Bag from Kata is a lightweight and flexible bag that can serve a dual purpose. Inside, Kata's Aeriform foam provides a cushioned interior that protects the contents. Kata DC-435 DL Shoulder Bag. The Kata DC-435 Digital Case is designed to hold a compact digital SLR with short or built-in zoom lens and accessories. Remove the shoulder strap and wear the bag on your waist for a quick access and hands free working position. The black KT DL-LP-60 Light Pic-60DL Shoulder Bag from Kata is a lightweight and flexible bag that can serve a dual purpose. Inside, Kata's Aeriform foam provides a cushioned interior that protects the contents. It will also accommodate up to a 17" laptop. We will always help you to have a 100% positive happy buying experience. This bag is used but in great condition. It fits within the carry-on cabin bag size for airlines too. 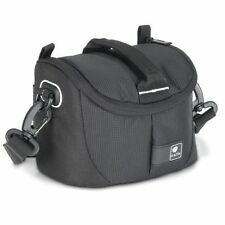 It also makes a great video bag and can hold a compact camcorder and accessories. Kata Bumblebee Camera Photo Backback. Condition is Used. Dispatched with Royal Mail 2nd Class recorded. In very good used condition with all original additional bits included. Tripod holder/ rain cover / straps / internal protection padding etc. This non-fray lamination allows. 5 year the cover is for palletized tank only. We will quickly send out a new one. You agree to cover us in full for any losses we suffer as a result of your failure to notify us within 24 hours. 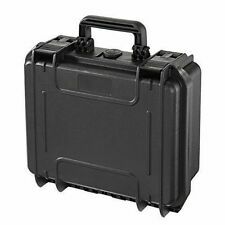 =8 FITS INSIDE PELI 1510 Case. =4x Dual ('pairs') =8x BAGS only (no strap/cover and no Peli 1510 case). 8 fit in a Peli 1510 hard case. Kata DL-H-531-G Features. now discontinued (Kata has been bought by manfrotto). 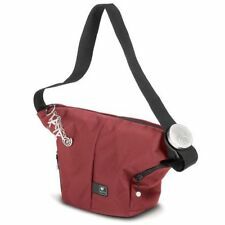 KATA HYBRID-531 SHOULDER BAG. Waterproof Rain Cover. Neoprene Strap. (Even a smaller SLR in each!). willfit 2 lenses ie 24-70 f28 and 85mm f1.2 BOTH with heir lens hoods on! Removable Divider. Fits D-SLR Two Lens Kit. 1680D Ballistic Nylon Case. Lenses and accessories less used can be situated in the rest of the bag. Quick Access Flap. 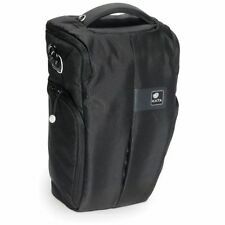 Kata DR-465 Rucksack - Black - Camera bag. Camrade CAM-WS-EOS C300-500 (CAMWSEOSC300500) Wetsuit Compatible with the Canon EOS C300 and C500 Camcorders. The camRade WS EOS C300/C500’s noiseless cotton interior fabric,unique to the camRade wetSuit, reduces unwanted sound effects caused by wind and rain. 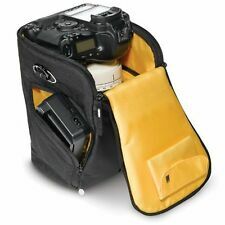 Kata Grip-18 DL Camera Bag for DSLR 70-200 . Condition is Used. Dispatched with Royal Mail 1st Class. 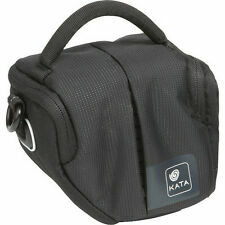 SALE - 3x KATA Dual 531 camera lens accessory - padded case (=6 BAGS @£10 each! (Kata DL-H-531-GFeatures. now discontinued (Kata has been bought by manfrotto). Inner horizontal divider (or for extra base padding). =3x 6x BAGS only (no strap/cover). = thats 6 lens cases ;). 3KATA(6) DUAL CASES! Kata palms 1 VC-251-1 advance ligfhting kit bag with trolley in used condition shown.